The exciting tale of a young gambler, a horse, and the bond that will change the both of them forever. Hoping to make a man out of him, Alfred Larribee’s father sends his son to live with his cousin’s family out West. Alfred is lazy and listless, and spends his early days there drinking, gambling, and doing everything he can to avoid his share of work. Everything changes with the appearance of Sky Blue, a magnificent stallion that seemingly can’t be ridden and has seriously injured one of the few willing to try. But to everyone’s astonishment, Larribee is able to bond with the horse, mount him, and ride him with ease. Josiah Ransome is already at odds with Larribee over his gambling when the woman he hopes to marry bets her emerald ring that Larribee will not able to ride Sky Blue. When the opportunity presents itself, Ransome turns to sabotage, placing a burr under the horse’s saddle. When Larribee mounts the stallion again he is viciously thrown off, and Sky Blue flees off into the desert. Larribee sets out on a mission, blazing a trail through dangerous Indian territory to find Sky Blue and return the horse to its home. 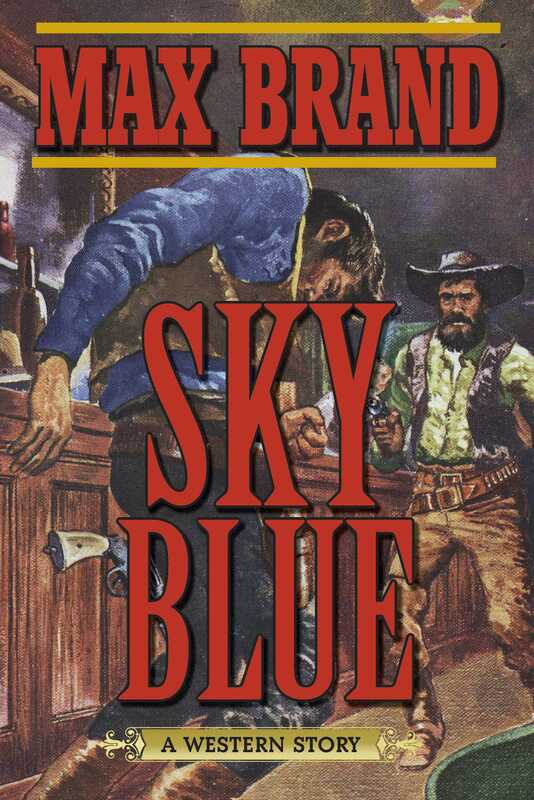 Sky Blue is the story of Larribee’s journey into the wild frontier, and a captivating Western from one of the genre’s all-time greats!